Hybrid Weigh-in-Motion or Hybrid WIM system can accurately weigh vehicles at speeds upto 25 km/h. These systems are accurate, robust for high volumes. 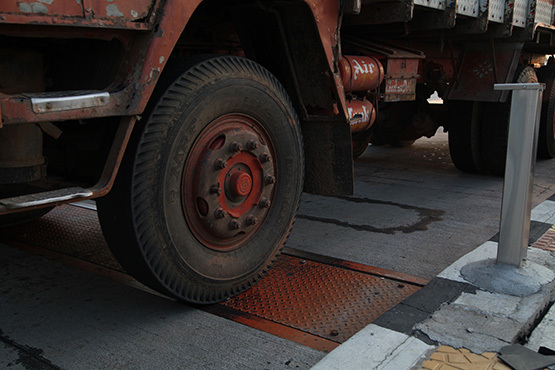 Hybrid Weigh-in-Motion (WIM) solutions are cost effective means of measuring truck axle and gross weights without affecting the flow of traffic. These scales are routinely used in commercial weight enforcement to enforce trucks entering a weight station/ toll gate. Weigh-in-motion or weighing-in-motion (WIM) devices are designed to capture and record the axle weights and gross vehicle weights as vehicles drive over a measurement site. 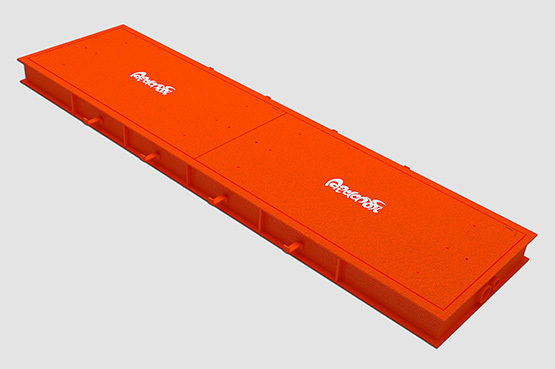 This makes the weighing process more efficient, and, in the case of commercial vehicles, allows for trucks under the weight limit to bypass static scales or inspection. Slow Speed Weigh-in-Motion or Slow Speed WIM (SSWIM) system can accurately weigh vehicles at speeds between 0 to 15 km/h. It is non intrusive, automated weigh data collection system before classification of Vehicle at the Toll Plaza. Slow Speed Weigh-in-Motion (WIM) arguments weighing stations equipped with four Super Beam type Load Cells, permanently installed into a concrete lane. Loop Detector Auxiliary equipment for vehicle separation.